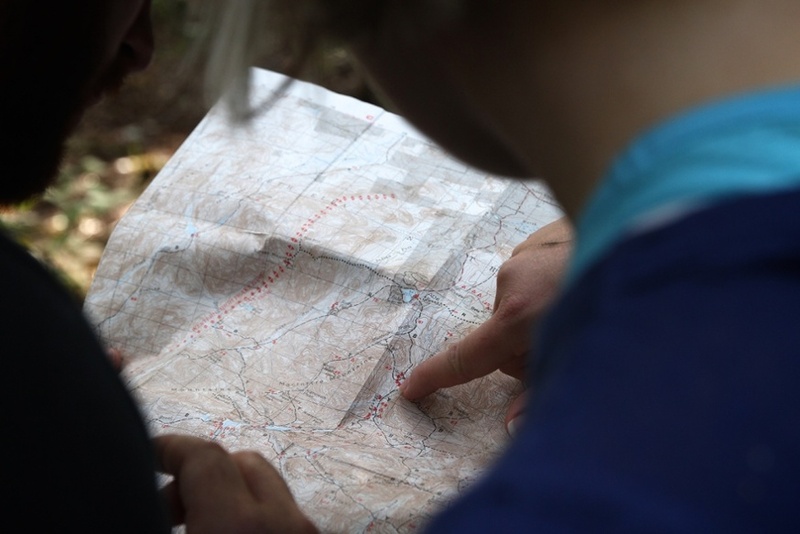 Study the map, and if you’re looking at an older site or guidebook, make sure you compare the trail you plan on taking with newer, updated resources as well. Know how far you’ll be walking, and study the area as best you can with the tools you have. Or a GPS positioning system, or a compass, or literally any locating tool you have. These are worth the extra weight, because they ensure you don’t get lost, or at the very least they can help you find your way back to the trail, making your trip go all the more smoothly. Never go on any kind of hike without letting someone that’s not on the trip know about it. Whether it’s a neighbor, your mom, or a friend, someone needs to know where you’re going, and when you’re supposed to be back. That way, even if you can’t call for help, they can. Make sure you have appropriate layers, you’ve checked the weather, and you know what to expect. Pack extra water and food, in case something does go wrong. Also make sure to pack a whistle and even a distress strobe light so someone can find you if you stray from the trail. While you’re hiking, you should be keeping your eyes open for any significant landmarks. Fallen trees, large stumps, rivers or creeks can all function as guides to get you back home, if you notice they’re there. You should be making mental notes throughout your hike, so you know how to get back. We really mean it. As soon as you think you might be lost, stop. Don’t wander around blindly for 10 to 20 minutes until you finally call it quits, just stop as soon as you feel disoriented. It’s much easier for someone to find you when you stay put. We understand that being lost is a frightening realization to come to, but it’s important to resist the urge to panic, or start running through the woods trying to find a way out. The best way to figure out what to do next is to sit down, and calm down. While you’re sitting down, take a deep breath, and assess your situation. Do you see anything that looks familiar? Can you use your GPS positioning device to get a location on yourself? How can you call for help? It’s important that you go through these questions rationally and calmly. Don’t even think about taking a step unless you’re 100% sure you know where it’s going to take you. Take a look at what’s around you. Is there any kind of landmark you can match up with the map to give yourself a better idea of where you are? Stay put during this step too; moving will only make the situation worse. Observe your surroundings. What time is it? Does the weather look like it will hold, or is there a storm rolling in? What do your supplies look like? The answers to all of these questions will help you formulate a plan going forward. Now that you know what you’ve got, and what the weather looks like, you can formulate a plan. If you can radio for help, do so, and stay put. If there’s bad weather rolling in, you may opt to set up camp and hole up until the storm passes, or at least until daylight. If you’re absolutely confident that you can get back on the trail, make sure you leave markers, kind of like a breadcrumb trail, so you know where you’ve been. It could be rocks set in a certain way, or a stick stood up in the mud, just make sure you’re leaving something so if anyone’s looking for you, they can find you. We hope these directions help you out a little bit in the event that you ever get lost on the trail. First and foremost, remember to stop, and stay put. This is your best bet to being found. Park rangers and authorities can find you much more easily if you remain in one spot, set up your strobe light, or have a whistle. Now that you’re prepared, have a great trip, and happy trails! If you need any gear for your next hike, make sure to check out the wide selection on our website. From daypacks to hiking shoes, Earth’s Edge has you covered.